Three years ago, German Chancellor Angela Merkel admitted one million refugees into the country. Even now, the aftershocks of the controversial decision are still rippling around the world. Germans and their European neighbors continue to debate the issue: Did Merkel make a mistake? 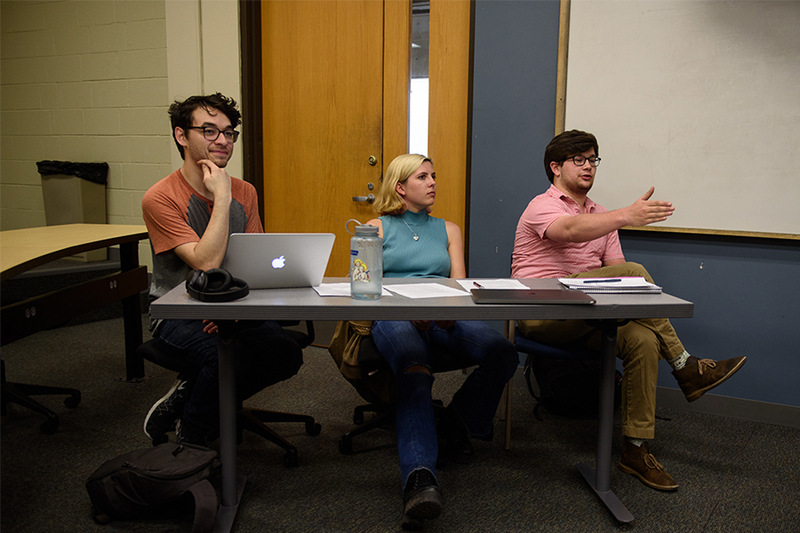 Brockmann said that staging a debate about refugees is a valuable way for students to immerse themselves in the most controversial issues facing modern Europe. 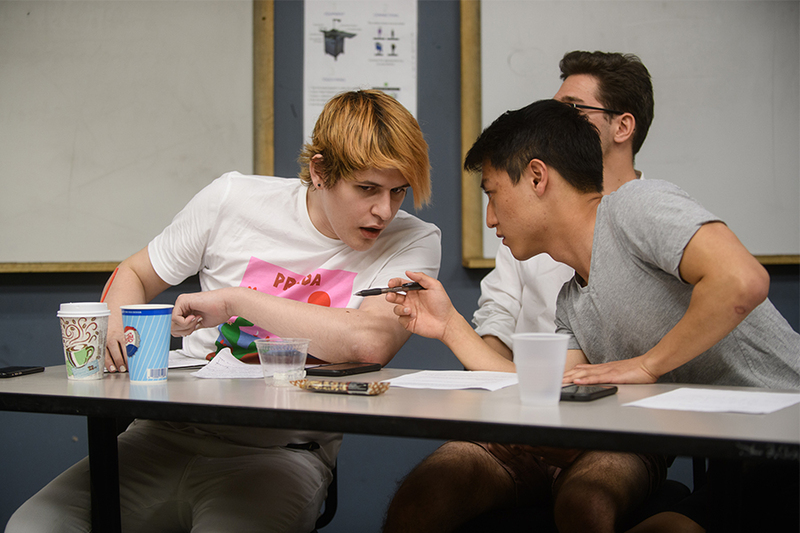 The exercise required students to draw on their oratory skills, conduct research and, in some cases, take a stance that goes against their personal views. Jake Feldgoise, a freshman majoring in policy and management, agrees with Merkel’s decision to let in asylum seekers in 2015 and 2016. But as a debater, Feldgoise and his two teammates argued against the open-door policy. He suggested that the backlash against the large influx of refugees has led to the rise of the far-right party in Germany. “It strengthened German kindness and it strengthened German hatred,” Feldgoise said. His teammate, Eric Hong, a junior majoring in computer science, drew attention to the acts of violence that followed the arrival of the refugees, such as the 1,200 women sexually assaulted during a New Year’s Eve celebration in Cologne. Kevin Nelson, a senior English major, said that the chancellor’s allegiance should be to the safety of the German people, not the refugees. On the opposing side, Lena Banchero, a freshman majoring in art and global studies, made the case that as a wealthy country, Germany had an obligation to absorb refugees in order to relieve the pressure on its neighbors, such as Greece. “We’ve all seen the photos of a dead child washed up on the shore of a Greek island,” Banchero said. Banchero and her teammates—Oscar Garcia, a junior majoring in cognitive science, and Mattox Reed, a first year design and production student—argued that in light of Germany’s Nazi past, Merkel had a moral obligation to provide a home to refugees. On a more pragmatic level, Banchero stressed that the refugees will help fill a projected labor shortage in Germany. Judges Timothy Haggerty, director of the Humanities Scholars Program, History Professor Katherine Lynch and Ricky Law, assistant professor of history, congratulated both teams on making strong arguments. They awarded the win to Feldgoise, Hong and Nelson for their stronger counter arguments. Feldgoise said it was challenging to argue a position he didn’t believe, but made him understand the refugee issue on a deeper level. “It helped me understand the opposing viewpoint. It’s not just crazy talk. You are putting yourself into the shoes of another person and really trying to understand the argument. You are no longer just a bystander,” Feldgoise said. Top photo: Kevin Nelson, Jake Feldgoise and Eric Hong confer. 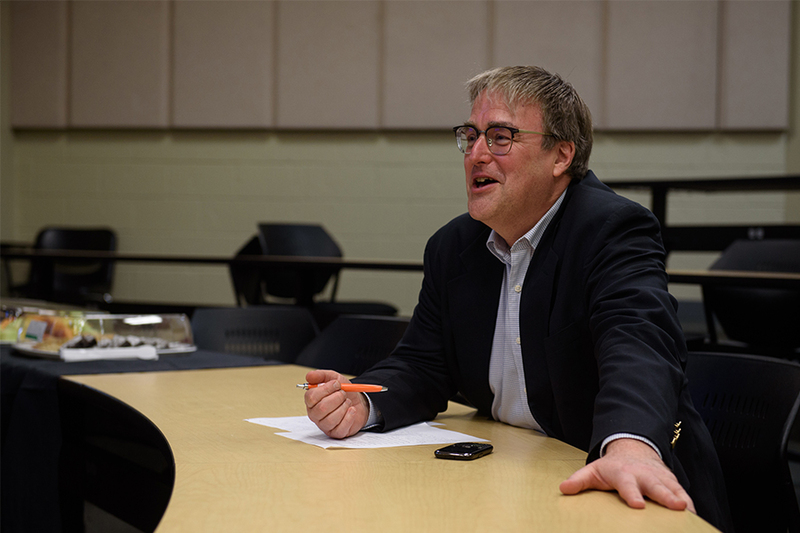 Second photo: Professor Stephen Brockmann moderated the debate. Third photo: Oscar Garcia, Lena Banchero and Mattox Reed debate the issue.